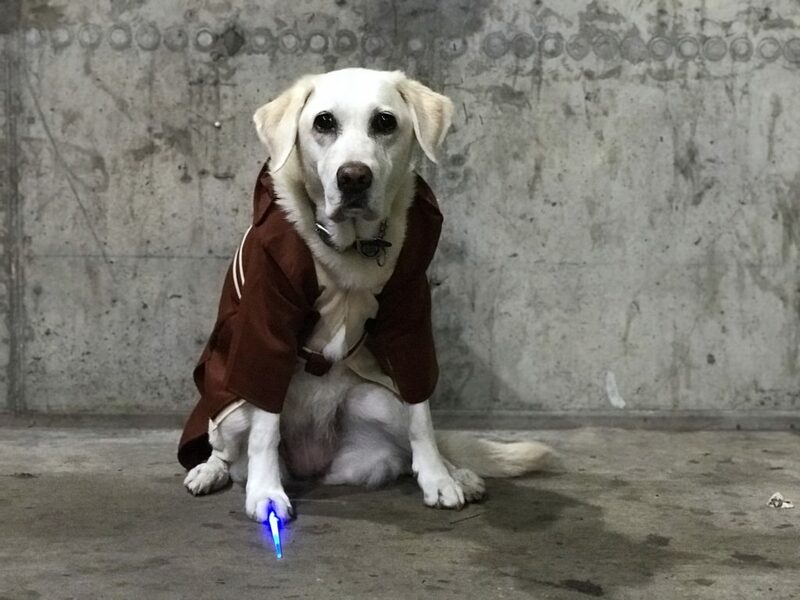 Ari the Service Dog’s Favorite Costumes | Where It's AT. The Ability Tools Blog. Have you chosen a Halloween costume yet… for your service animal??? Have no fear, Arianne aka “Ari.” is here! She’s part Labrador and part Golden Retriever, and all service dog. You may have seen her in social media sporting fun, adorable costumes, but most of the time she’s on duty. Under the Americans with Disabilities Act (ADA), a service animal is defined as a dog that has been individually trained to do work or perform tasks for an individual with a disability, and is considered part of assistive technology. The task(s) performed by the dog must be directly related to the person’s disability. Nine years ago, Canine Companions for Independence (CCI) partnered Ari with Mia Ives-Rublee, a very active wheelchair user. 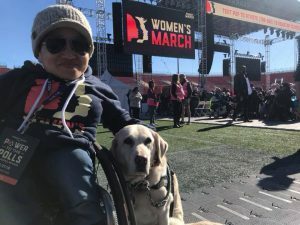 Mia is the Founder/Coordinator of the Disability Caucus for the Women’s March on Washington. Ari has been a companion and support to Mia by helping her pick up items off the ground, pull her wheelchair, and push automatic door and elevator buttons. 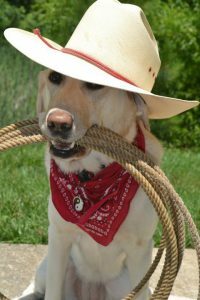 According to the CCI website, a Canine Companions service dog not only assists with physical tasks, but also provides social support. Assistance dogs are trained to respond to 40 commands. Shortly after Mia submitted photos of Ari to Ability Tools, Ari was diagnosed with health complications. The Ability Tools and California Foundation for Independent Living Centers team are all pulling for Ari and are sending positive thoughts and vibes her way! Mia and Ari at the Women’s March in Washington.